Described by The Sun this year as 'Scotland's brightest comedy talent’, the Glaswegian comic’s sharp one-liners, brilliant turn of phrase and clever wordplay has made him a perfect choice for regular appearances on BBC Radio Scotland's new comedy panel show 'Breaking the News' as well as support for Stewart Francis and Hal Cruttenden on their national tours. 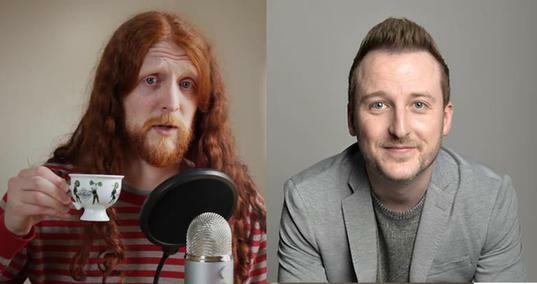 Stuart was part of the Stand-up For Scotland show at the Adelaide Comedy Festival in 2013 and appeared in the AAA Stand-up Late show and CKP Lunchtime Special at the Edinburgh Fringe 2014. He has written for 'Mock the Week' (BBC1), appeared on 'The Loser World Cup' for BBC Radio Wales and 'On the Road' with BBC Scotland. He is now working with BBC Comedy, on a scripted development project.